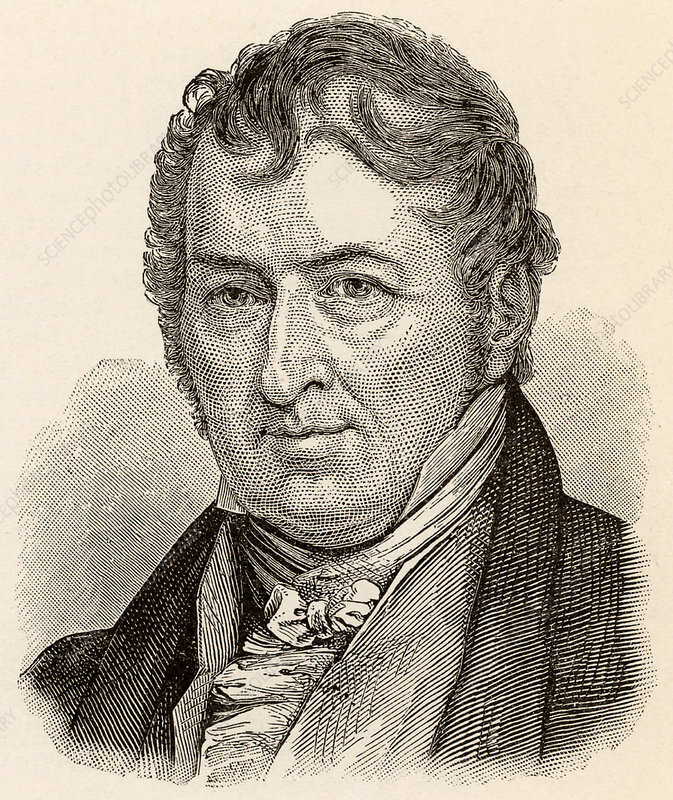 Eli Whitney (1765-1825) American inventor and manufacturer, born at Westborough, Massachusetts. Credited with the invention of the cotton gin (1793) to separate cotton fibre from seeds and seedpods, dramatically increasing the amount of cotton that could be processed in a day and so revolutionising the American cotton growing industry. Equally important was his introduction of interchangeable parts, an innovation which led to the growth of mass production in the nineteenth century and the production of cheap goods. Engraving.